The month of May comes with a profusion of Puppet Festivals. Some of Spain’s principal festivals, the spring festivals, take place during this month. Autumn is another important season, with festivals in October, November and December. Here, we mention some of the most notable and well-known Iberian festivals in May, though it must be said that we will, inadvertently, have failed to include them all.. 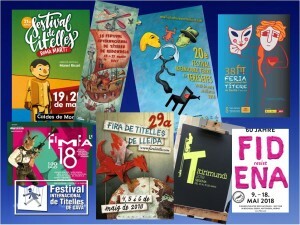 The string of May festivals kicked off with the 29th edition of the Lleida Puppet Fair, which ran from 4 to 6 May. A strategic festival for the sector, this year it hosted 26 companies, 101 performances and more than 300 puppetry professionals, over the Fair’s three days. See here. An obligatory date in the calendar for professionals and public who wish to see new, quality work. Bear it in mind for next year! To see the programme, click here. 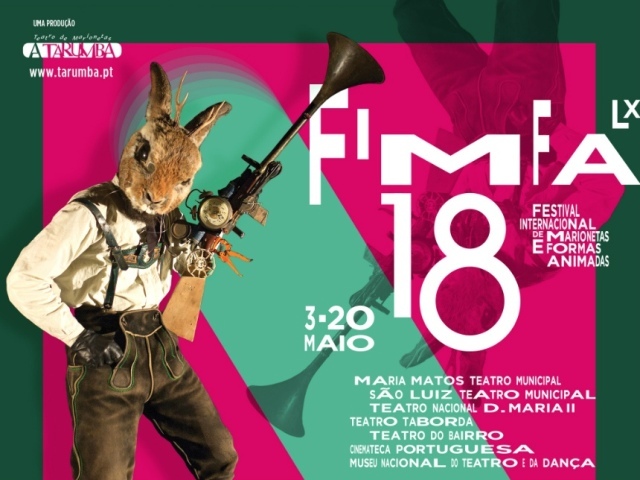 This is one of the most important festivals on the Iberian Peninsula, not only in terms of duration but also for the high quality of its shows, which are programmed in the majority of the Portuguese capital’s private and public theatres. Directed by Rute Ribeiro and Luís Vieira, the Lisbon International Festival of Animated Forms 2018 (Festival Internacional de Formas Animadas de Lisboa 2018) took place from 3-20 May. To see the programme, click here. Titirimundi is one of Spain’s longest-running puppet festivals and, without a doubt, one of its best known. It was run by the festival’s late founder, the puppeteer Julio Michel, until his untimely death last year. This edition, therefore, was the first without Julio at its head, and puppetry professionals from up and down the country expressed huge support for the continuation of the festival. Happily, this is assured by its long-standing team. 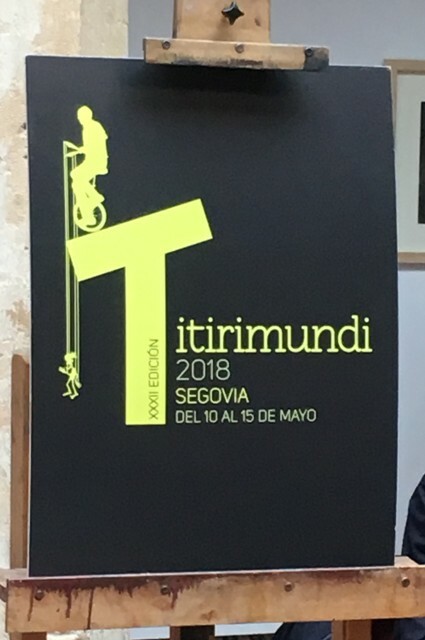 Titirimundi took place from 10 to 15 May. For the programme click here. 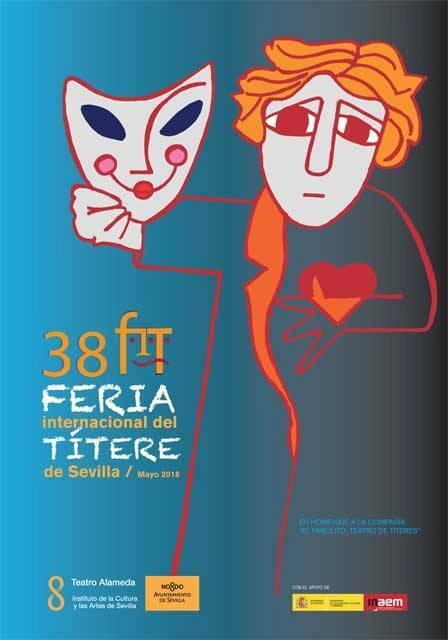 The Seville International Puppet Festival is the oldest puppet festival in the country; this year it held its 38th edition, from 11-25 May. Directed by Juan Luís Clavijo, who took over a couple of years ago from founder, Guadalupe Tempestini, the ‘Sevilla Puppet Festival’ offers shows, lectures and an international meeting for the members of UNIMA. Titeresante’s Toni Rumbau covered part of the festival in Seville. See here. To see the programme, click here. 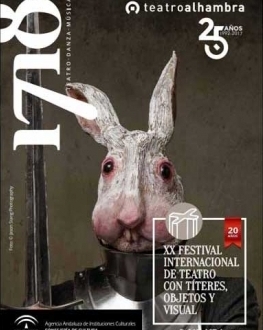 From 19-27 May the“20th International Puppet, Object and Visual Theatre Festival’ took place in the Teatro Alhambra with the presence of important Andalusian, national and international companies. To see the programme, click here. The ‘International Puppet Festival of Gavà ’reached its 28th edition with a good number of shows for, mainly, family audiences, both street shows and theatre performances. Dates were 11,12 and 13th May. See here. To see the programme, click here. 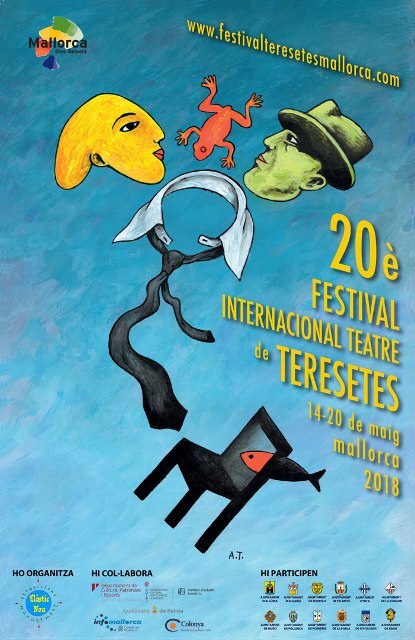 The ‘Internacional TeresetesTheatre Festival’t akes place in Palma de Mallorca,but also at venues in other places on the island. This year, from 14-20 May, was the 20th edition. Directed since its inception by Aina Maria Gimeno, the programme was, as always, exquisite. Titeresante and Putxinel·li’s Cesc Martínez covered this year’s festival (see here). To see the programme, click here. 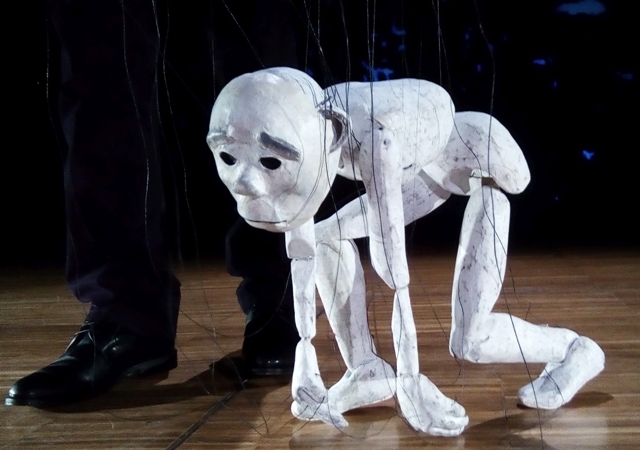 This veteran Galician puppet festival, the ‘Internacional Puppet Festival of Redondela’, held its 19th annual festival from 14-20 May. See this article written by David Zuazola here. To see the programme, click here. This is one of the most charming puppet festivals in Catalonia, and is dedicated to the puppeteer Romà Martí, who died a number of years ago. 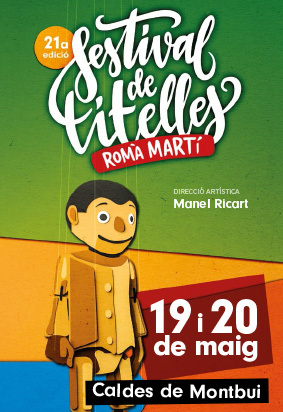 The ‘Romà Martí Puppet Festival’ takes place in the spa town of Caldes de Montbui, directed by Manel Ricart. Dates this year were 19-20 May. To see the programme, click here. La Tía Norica and Batillo. 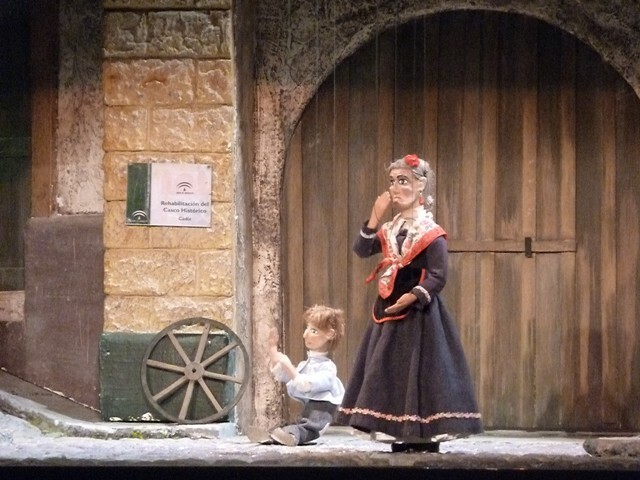 Another long-standing Spanish festival was held from 22-27 May, in Cadiz, home of one of the country’s most interesting puppet traditions: the Tía Norica theatre. To see the programm, click here. Santillana del Mar. 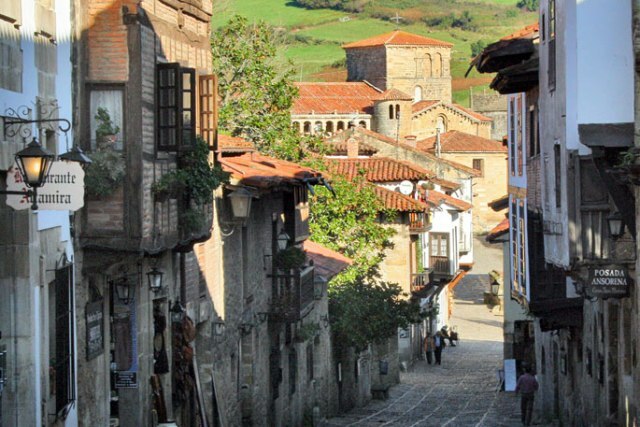 Photo taken from Turismo Cantabria. The name given to the Puppet Festival of Santillana del Mar, in Cantabria, is Bisóntere, and this year it celebrates its 11th edition. Directed by Mariluz Muñoz Barquín, it runs from 25th to 27th May. For the programme, click here. 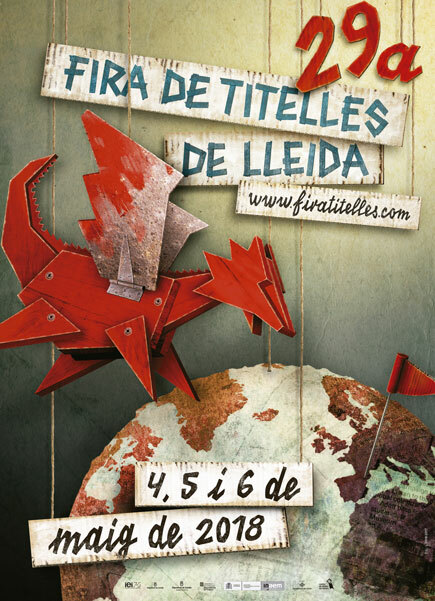 This is one of the most enjoyable festivals in the north of Spain, directed by Luís Vigil of Kamante Teatro. The festival is famous for its meals and for its welcoming, friendly atmosphere. The event also provides an opportunity to visit the Puppet Museum-Workshop (Museo-Taller de Títeres) located in the same town and directed by Joaquín Hernández of Tragaluz puppet company. For the programme, click here. Los hermanos Pino con Carmen Cabra, Delegada Municipal de Festejos. The Ayuntamiento de Utrera celebrates the third edition of its Puppet Festival from May 18th to 27th, 2018, with artistic direction from the company Miguel Pino, creators of the character Peneque.For the programme, click here..
And following this round up of the major puppet festivals of the Iberian Peninsula, we end with a mention of one of the most important festivals in Europe, also held in May, the FIDENA festival in the city of Bochum, in the Ruhr region of central Germany. Directed by Annette Dabs, it is well known for its high quality programme, and for the complementary activities offered both to the general public and puppetry professionals. This year, specifically, it hosted the UNIMA International Council, from 13-16 May; an important UNIMA international meeting, within its World Congresses (for more information, click here). For the FIDENA programme, click here. The festival ran from 9 to 18 May 2018. 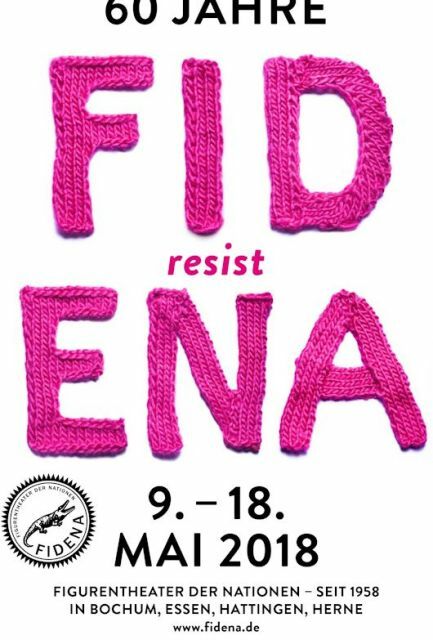 For the FIDENA programme, click here. The festival ran from 9 to 18 May 2018..